The s.s. City of Manchester, under the command of Captain Harry Johnson was, sailing on February 1st, 1942 with Australian troops, arriving in Singapore. After this the ship sailed for Pekan, Malaya. Evacuating about 700 Australian servicemen to Batavia, the ship was diverted to Tjilatjap, and embarked the military. The s.s. City of Manchester left Tjilatjap, Java again on February 28th, 1942. At about 55 km West of Djokjakarta, the ship was hit by two torpedoes and finally sunk with gunfire by the Japanese submarine I-53 (I). In the event three sailers were killed. Six sailors were taken prisoner by the Japanese. The rest of the survivors (126 crewmen, 17 gunners and 13 naval servicemen) were rescued by the USS Tulsa (PG 22) , USS Lark (AM 21) and the USS Whippoorwill (AM 35). On February 28th, 1942, sailing about 55 km West of Djokjakarta, s.s. City of Manchester was hit by two torpedoes, fired by the Japanese submarine I-53. The submarine surfaced and ordered the crew of s.s. City of Manchester to abandon ship. While abandoning the ship, gunmen of I-53 already opened fire. During the whole event at least three crewmembers out of the 137 on board were killed or severely wounded. It later was assumed that six crewmembers were taken prisoner by the I-53. The burning and sinking ship was at 05.07hrs sighted by the minesweeper USS Whippoorwill (AM 35), which was sailing in the area together with USS Lark (AM 21) in a rescue mission to find survivors of the sunken USS Langley (AV 3). Both ships started picking up survivors that were in the water and in lifeboats. A total of 128 survivors were reported rescued. In the meanwhile also Patrol Gunboat USS Tulsa (PG 22) arrived at the scene. Beceause USS Whippoorwill (AM 35) and USS Lark (AM 21) did not have medical fascilities, the injured where transferred to Tulsa's sickbay. 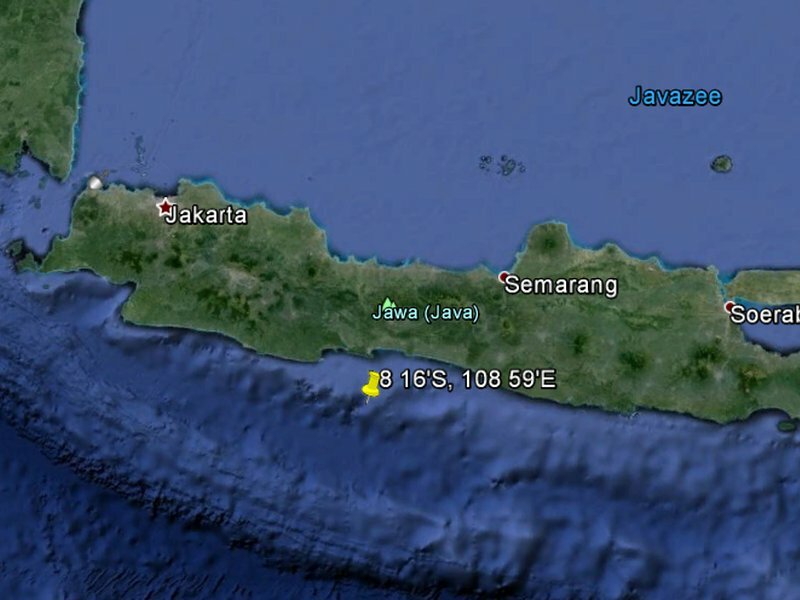 The location where s.s. City of Manchester was reported to have been sunk. According to 2nd Officer Alexander Brocklebank from s.s. City of Manchester, I-53 opened fire while the men were ascending the rope ladders and at least the Chief Officer was killed in the incident. Later research indicated that Chief Officer Stephen Corner Stephenson Taws was severely wounded taken on board the USS Tulsa and he died of his wounds on March 3rd, 1942. Both Seaman Ali Azam and Apprentice Guy Smith Roberts, also from s.s. City of Manchester, are presumed to have been killed on February 28th, 1942. Unknown up till now is wether their death occured on board the s.s. City of Manchester during the attack by I-53 or is they died on one of the rescue ships. 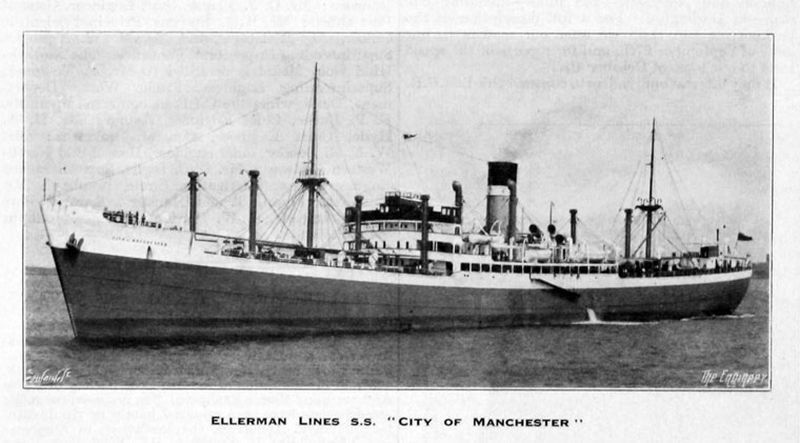 Within the records of deaths at sea, another person from the ship is mentioned to have died during the period of the sinking of s.s. City of Manchester. This sailor, A.A. Hassanoudin is mentioned as a sailor form the ship, who died at the same date as other killed during the sinking, it is however unknown if he was killed during the incident or died later from wounds or perhaps even as POW. Of the men taken prisoner, it is only known that Quartermaster Ernest Burnham, died in Japanese imprisonment on May 24th, 1945. It is also known that Engineer Bernard Egbert Berntsen from s.s. City of Manchester was a Japanese POW. Uncertain is if he was one of the six prisoners taken or if he was taken POW after the fall of the Dutch East Indies. Record is also known of First Wireless F.C. Sterry, arriving at Fremantle, March 5th, 1942 on board the m.s. Zaandam and noted as survivor of s.s. City of Manchester.